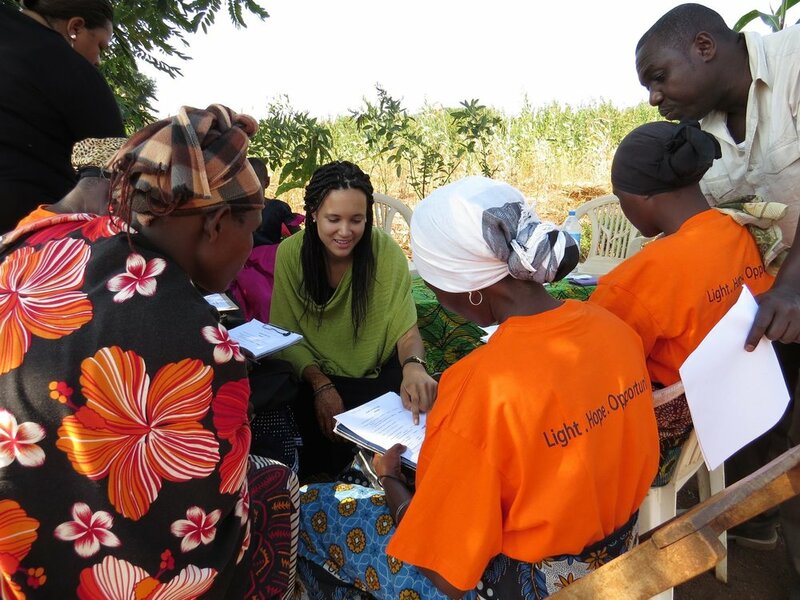 GLOBAL SOCIAL BENEFIT FELLOW, LINDSEY ALLEN, RESEARCHES AND WORKS WITH SOLAR SISTER IN TANZANIA. SANTA CLARA, Calif., May 24, 2016 — Miller Center for Social Entrepreneurship at Santa Clara University has launched a $10 million endowment fund for its five-year-old Global Social Benefit Fellowship (GSBF) program. The GSBF fully funds travel, classes, and post-trip coursework for up to 20 students a year to conduct hands-on research at social enterprises that have been through Miller Center’s programs worldwide. This field-based, action research helps the enterprises benefit exponentially more people, and the fellowship program already has helped three students earn Fulbright scholarships. On May 25, 2016, the GSBF program will hold its annual “Research with a Mission” Open House, where current and last year’s fellowship students will present the research field projects they will conduct as part of their yearlong fellowship program. This year’s projects include interviewing rural African women about the uses of solar energy products; evaluating clean water technologies and supportive business models in Central America; assessing the health and social impact of artisan social enterprises on women and children; and documenting and analyzing theories of positive social change for women and girls in Africa who are selling locally produced women’s sanitary pads. The Global Social Benefit Fellowship provides SCU college juniors and seniors with a comprehensive program of mentored, field-based study and action research within Miller Center’s Global Social Benefit Institute (GSBI®) worldwide network of social entrepreneurs. The fellowship combines a fully funded eight-week summer international field experience with social enterprises in the developing world with two quarters of coursework. 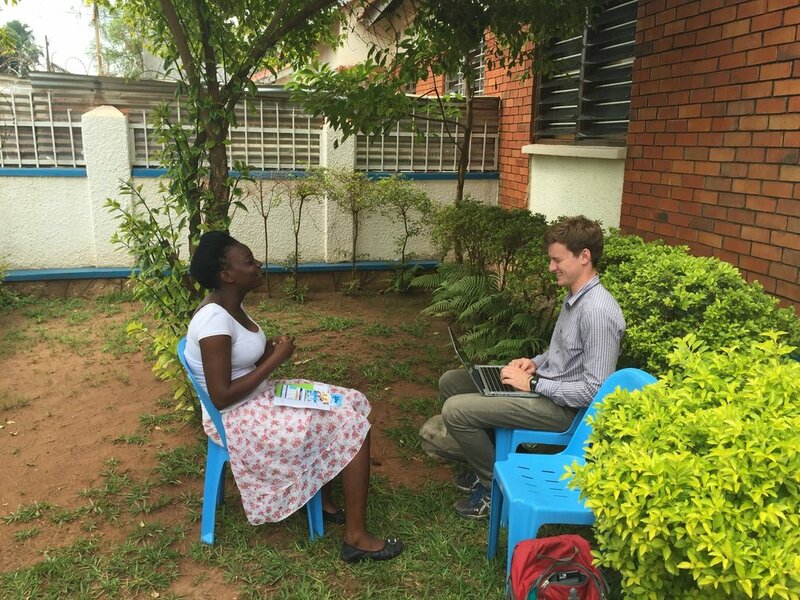 GLOBAL SOCIAL BENEFIT FELLOW, TOM WHEELER, WORKS ON BEHALF OF JIBU IN UGANDA. The GSBF is a program of practical social justice in the Jesuit educational tradition. Unlike community-based service learning projects or internships, the GSBF’s work with social enterprises is a dynamic process that takes full advantage of two of the most important assets universities have to offer: research and critical thinking. ©2016. GSBI is a registered trademark of Santa Clara University. All rights reserved.